The technology follows requirements and not vice versa. International standards and common interfaces. 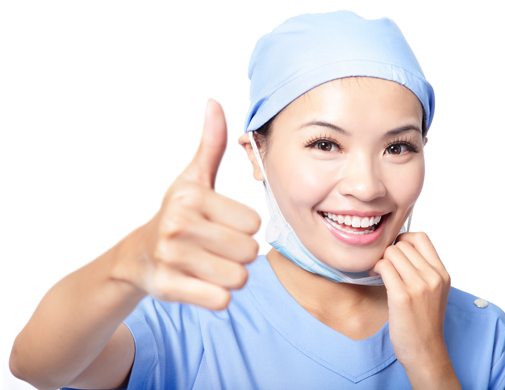 Care integrator was developed with the aim of mapping international standards and supporting the most common interfaces in the healthcare sector. In doing so, the primary objective was to be able to ensure seamless connection to initiatives such as the electronic patient file (EPDG, international EHRs) and to primary systems such as hospital, patient information and insurance systems through standardized interfaces such as (HL7, API, DCOM, XDS for document exchange, PIX/PDQ for patient identification, XUA for authentication, ebXML as a Web Service Profile). Because the doctor should have to face the challenge of administering his patient data twice. Your data are stored securely. 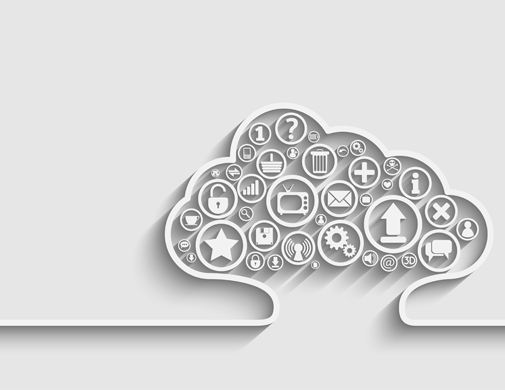 Care integrator is cloud-based as an SaaS (Software-as-a-Service) solution, with the advantage of having a simple and intuitive user interface that does not require any additional installation. This means that, regardless of location, you can access your data and applications using any standard web browsers from anywhere, even on mobile devices. In addition to this, you do not have to deal with annoying software updates – the updates are immediately available to you. The solution is automatically backed up (backups) and provides controlled data rescue. It is easily scalable and flexible, and can be expanded according to your wishes. All data and computer resources are stored in Switzerland at the Safe Swiss Cloud virtual data centre. Care Integrator was developed on the basis of the highest security and reliability standards. The solution is a multi-tier, high availability application. The main components are a front-end web application, a portal and back-end middleware as the host for business logic, repository and integration engine. The portal and the middleware each run on dual load balanced nodes with a database cluster and three nodes in the backend. 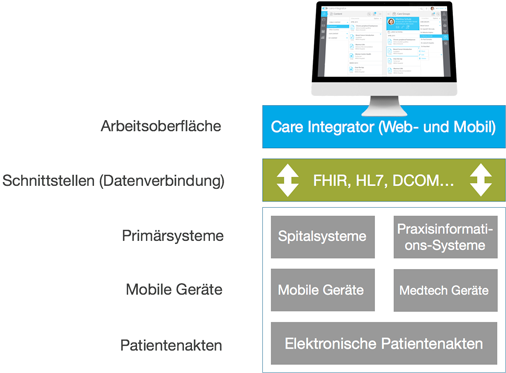 Care Integrator was developed using Java Platform Enterprise Edition on the basis of advanced open source technologies such as WildFly and PostgreSQL. An agile development with a highly professional team. Care Integrator is further developed on an ongoing basis by eight programmers. 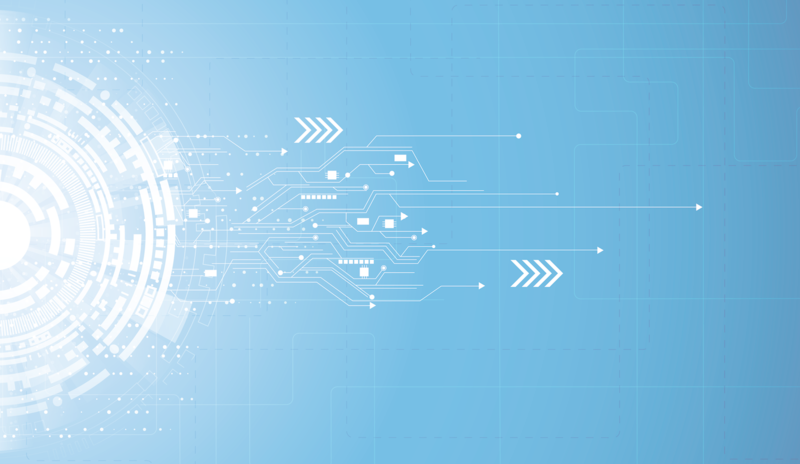 The team consists of health experts with extensive experience in the international context and has already executed a number of integration projects with companies such as Cisco, Microsoft and IBM. 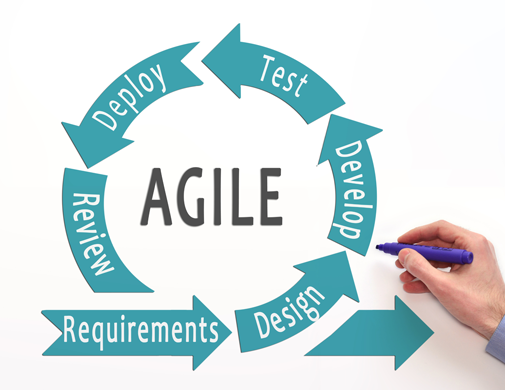 The development team works in an agile manner (SCRUM) and the releases go live every two weeks. Therefore, we can guarantee quick implementation for the customer.